Get your heating, air conditioning & ventilation issues resolved today with same day service from our industry certified Denver HVAC technicians. 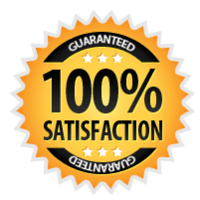 All HVAC work, including repairs, maintenance, replacement & installation is backed by our 100% Satisfaction Guarantee! Experience ensures that the company has been in the business for a while and that they have learned through trial and error the best way to serve their clients. Also, look out for keywords such as “money-back guarantee” and “customer satisfaction guarantee” when searching for an heating and air conditioning repair person. These guarantees influence the employees of an HVAC company to do their best and top-notch work, in order to prevent the company from having to pay back the client. Our Denver HVAC Contractors provide same day air conditioning repair, maintenance, replacement & installation with upfront, honest, pricing. All of our air conditioning services are backed by our 100% Satisfaction Guarantee and we offer $22 Denver air conditioning diagnostics, the lowest prices in the Denver Metro Area! Whether your home is heated by a furnace or boiler system we offer all the services to keep you warm in your home this winter. Furnace repair, maintenance, annual tune-ups, replacement & installation is what our Denver HVAC contractors specialize in, and boilers too! If there is suspicion of heating or air conditioning failure, getting an HVAC repair or replacement may be the solution. An important first step is to find a company that is both reliable and efficient. In order to do so, it is necessary to research your HVAC system and to understand whether or not the company will overcharge you. When looking for a good heating and air conditioning repair company, it is best to find one with years of experience.